Leave Osaka to see some of Honshu’s most hallowed and holy sites on a 2-day tour. 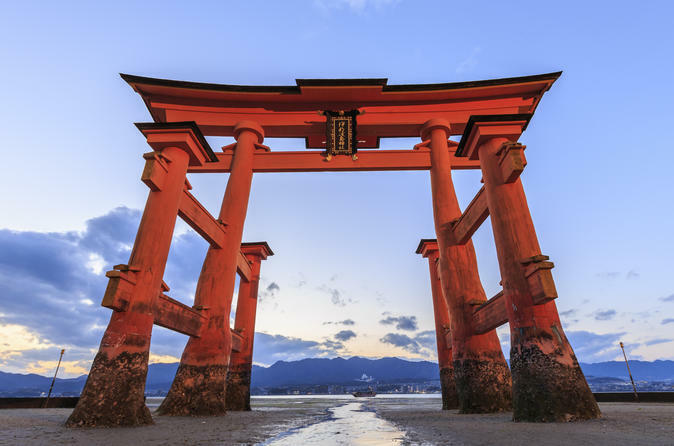 First, ride by boat to Itsukushima Shrine in Miyajima, and then visit the nearby Hiroshima Peace Memorial. The monument is UNESCO listed, and affords sights of the atom bomb’s aftermath through exhibitions at the museum. Check in to the Hotel Granvia Hiroshima, and then enjoy guided tours of Kurashiki Bikan Historical Quarter and the Okayama Korakuen Garden the following day. Lunch on Day 2 is included, but all other meals are payable at your own expense.